← Stanford University to Host Michael Killen’s ‘Sustainable California Art/Speaker Tour’, During Energy Summit 2014. 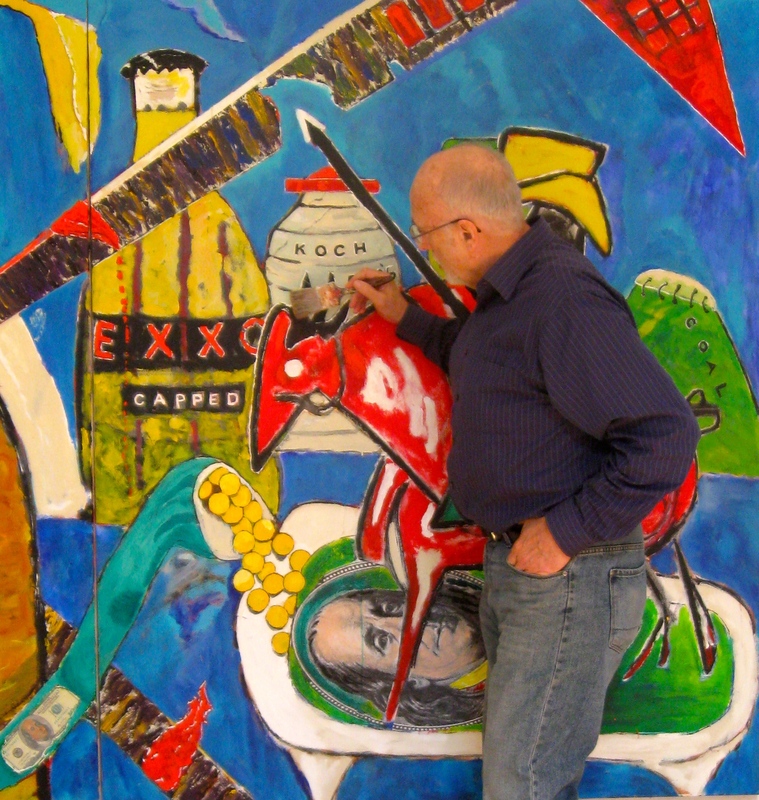 Michael Killen putting final touches on painting that demonstrates what Don Quixote might do if he encountered climate change. In back ground are hints of what the errant knight might do. Energy Summit 2014, June 19 will be first event to display ‘Don Quixote Meets Climate Change’ (15 x 6 feet). Michael is touching up a section of the painting in photo shown here.